The Best Chocolate Cake Recipe in the World! 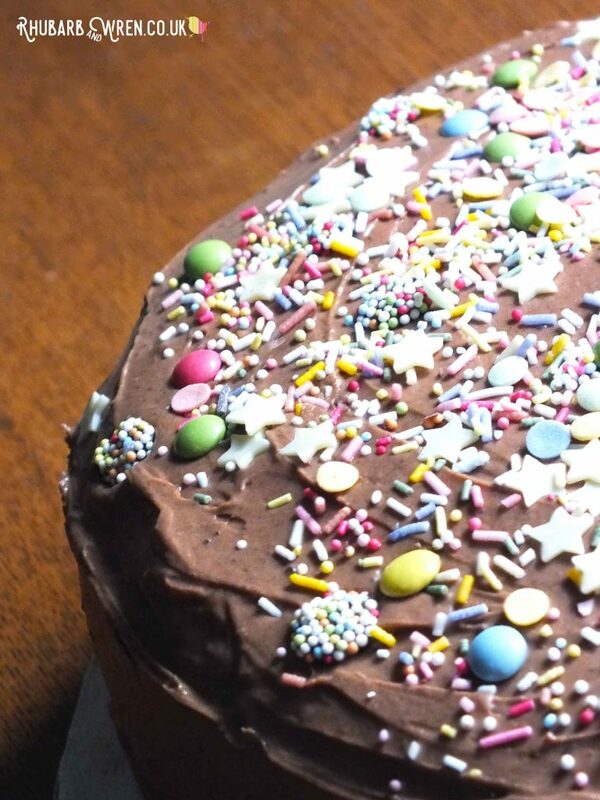 There must be a million or more chocolate cake recipes around, and I’m sure most of them will make you a lovely cake. However, all of those recipes are just pretenders to the throne when it comes to being the greatest, as in my humble opinion, this classic milk chocolate cake has it in the bag. But don’t take my word for it – read on to find out why it’s so good and how to make one for yourself. 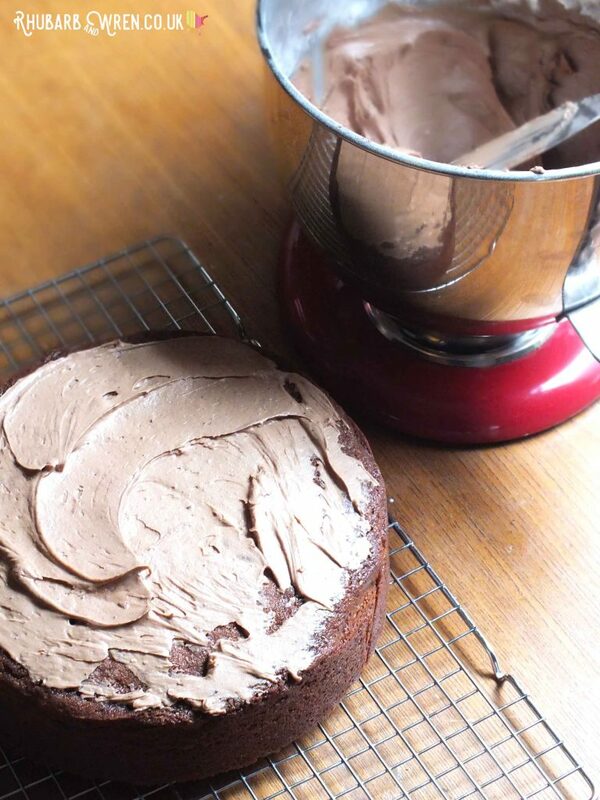 Could this be the yummiest chocolate cake recipe in the world? You’ll have to make it to find out! This milk chocolate cake is known in my family as ‘The’ birthday cake, as it’s the one my mother would bake for each and every one of our birthdays. So nostalgia is admittedly a part of the charm of this cake for me, but it also tastes sooooo good! Made with a not-so-secret ingredient that tuns it from a plain chocolate cake to a milk chocolate cake, it’s lighter and less stodgy than many others out there, and very kid-friendly. 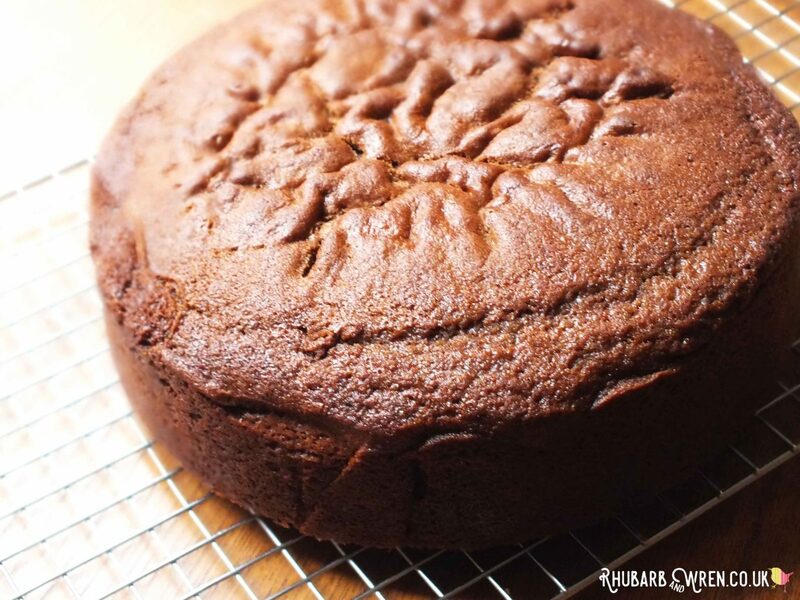 This is a chocolate sponge cake that will keep moist for a good week (I’m told – we’ve never managed to make one last that long), and goes perfectly with a nice cup of tea. 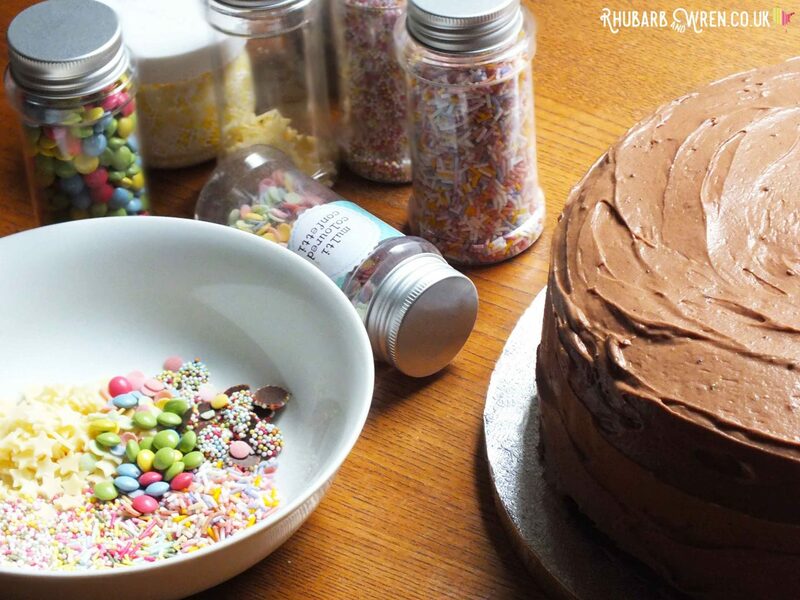 Colourful sprinkles make this THE party cake! The recipe came from a tattered old Be-Ro Flour recipe book that my mother has had since the sixties, first published in 1923. When I went off to college (yes, alright, a while ago now – but the Ninties rocked! 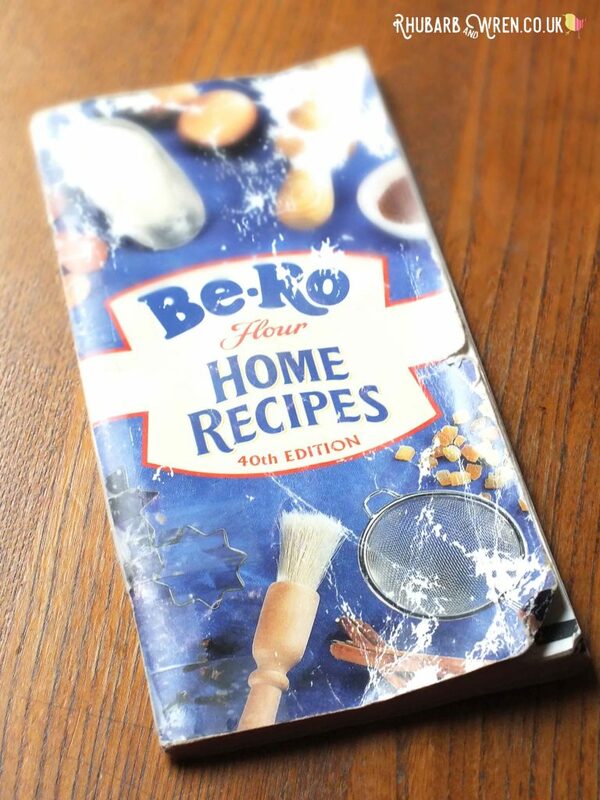 ), my mum found that Be-Ro were still publishing it and ordered me my own copy. 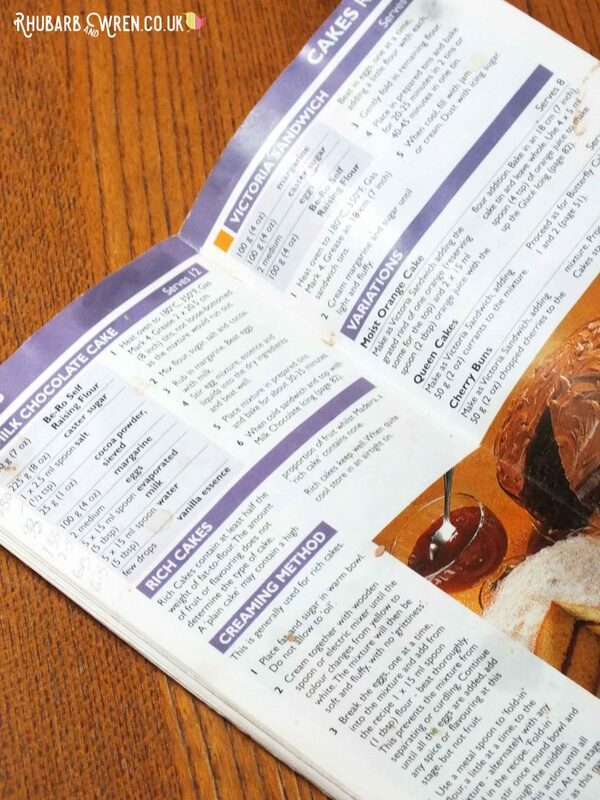 It’s just a little booklet, but it’s full of gems and all the classics – every recipe you could need for your baking. Over the years I’ve used it so much that my own copy is now also rather tatty and falling apart (I’ll never part with it though!). I recently found where to order it (https://be-ro.co.uk/) and got myself the latest – 41st – edition. Shocker – not in the 41st edition!! Outrageously, the recipe for the cake has not been included in this latest edition, though Be-Ro do still have it on the website (search for ‘Milk Chocolate Cake’ on their Recipe Inspiration page). 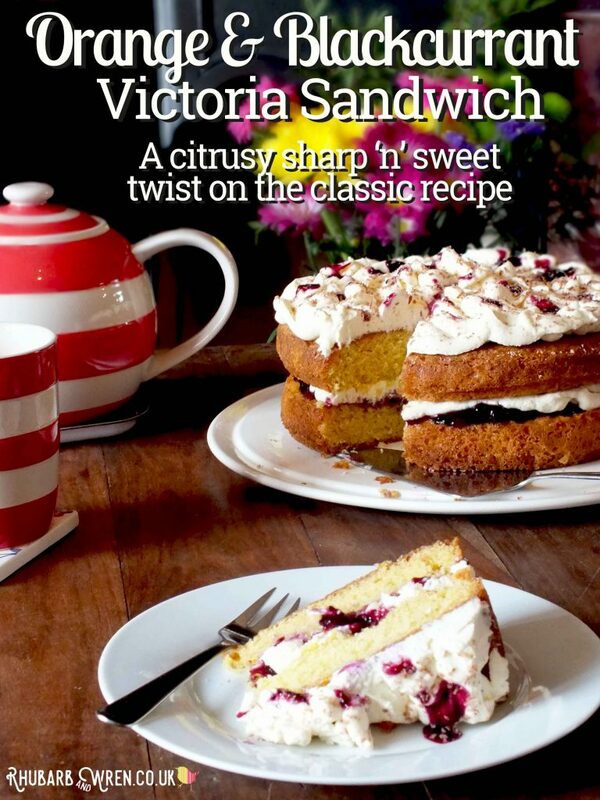 This revised edition is still worth ordering as there are lots of other great recipes – and it only costs a few pounds. You can order and pay for it online (despite what Be-Ro say on their website), so if you want a copy of your own just click on the link that says ‘Buy the 41st Edition Be-Ro Recipe Book’ to get to the order form. What follows is our evolution of this recipe – basically the same with a only a few small changes to the method and ingredients. It has been tried and tested over *quite a few* birthdays and I can promise that it’s quick and easy to make, and a guaranteed crowd-pleaser! 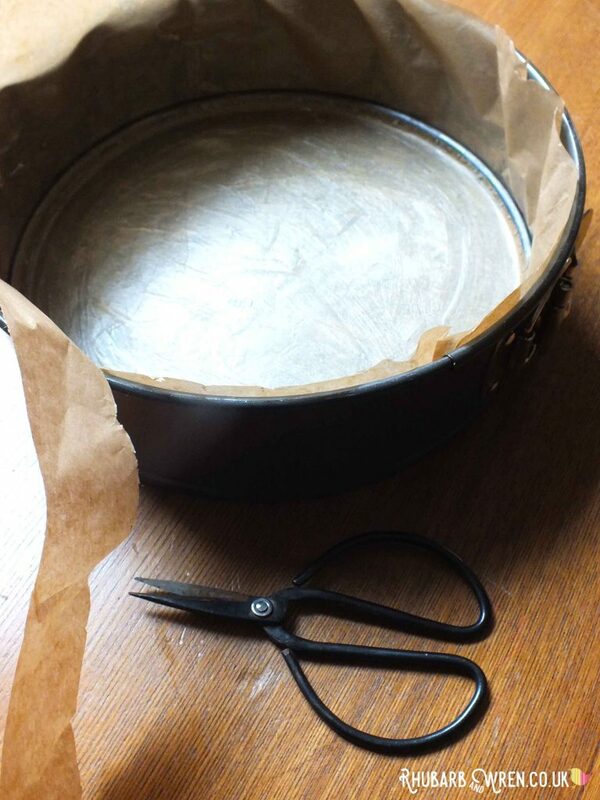 This recipe makes a great big cake, using either one (with no filling) or two 23cm (9″) cake tins. ​It’s a chocolate cake – we don’t do those in small! 400g self raising flour. If you’ve had the flour for a while, also add a heaped teaspoon of baking powder. 200g Margarine (e.g. Stork) – you’ll get a lighter cake than using butter, and it contains much less fat. But if you prefer, you can substitute butter. 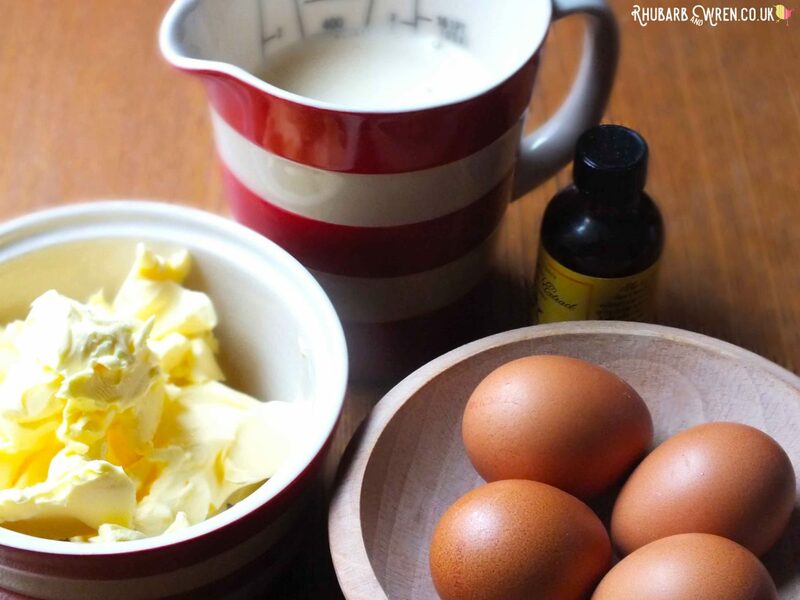 100g butter​ (you can use margarine, as in the cake itself, but I prefer butter for the icing). 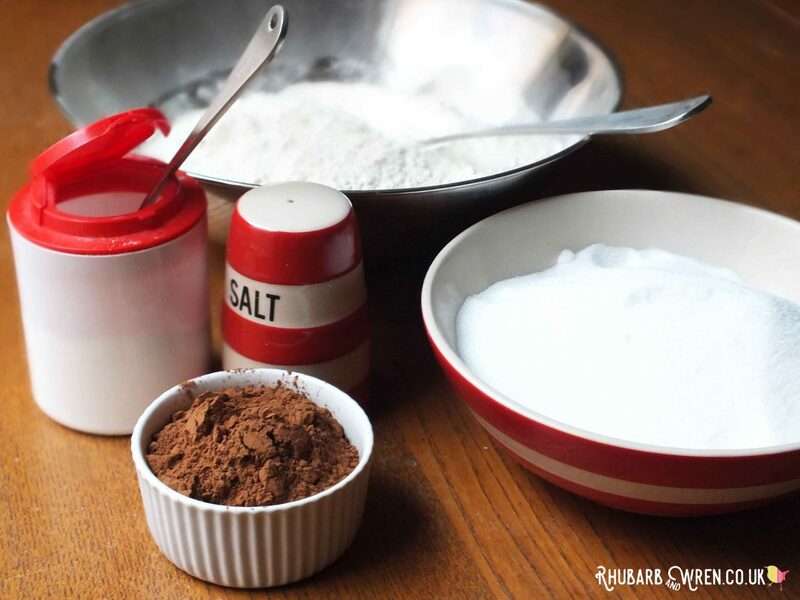 Once your cake is baked, you’ll need these ingredients for your icing! 1. Pre-heat the oven to 180° C / 350° F / gas mark 4. 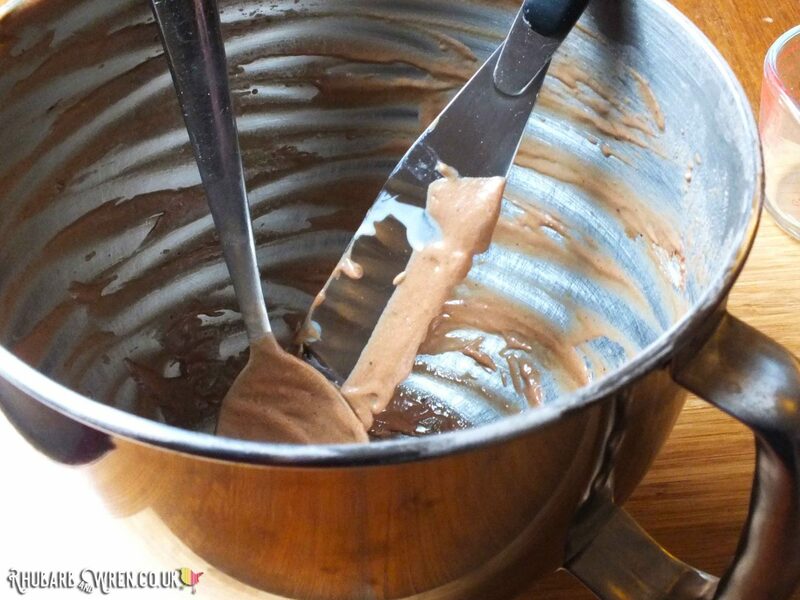 Grease and line one or two 23cm/9″ cake tins (two to make a sandwich or one for a big cake covered in icing all over). Tabs in the side stripe. ​2. 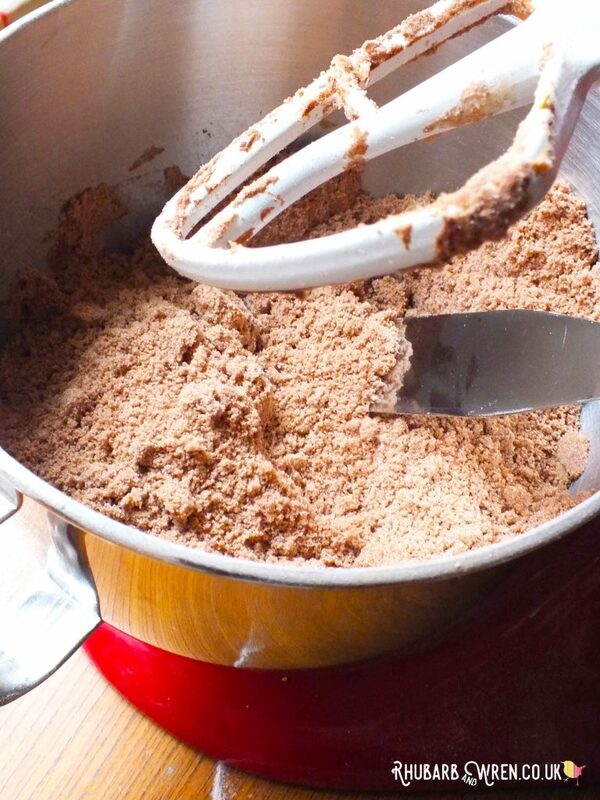 Sieve the flour and cocoa powder together in the mixing bowl, add the sugar and salt and mix together. 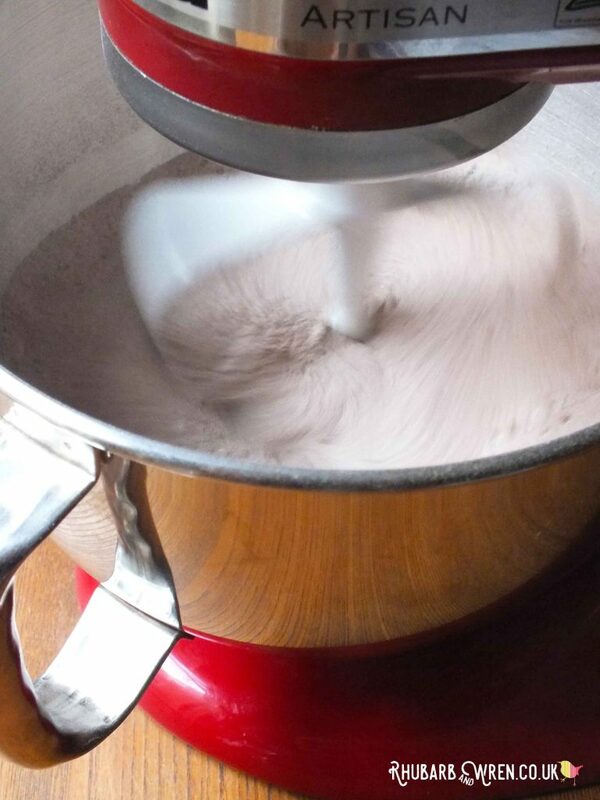 Mixing cocoa powder, salt, sugar and flour. 3. 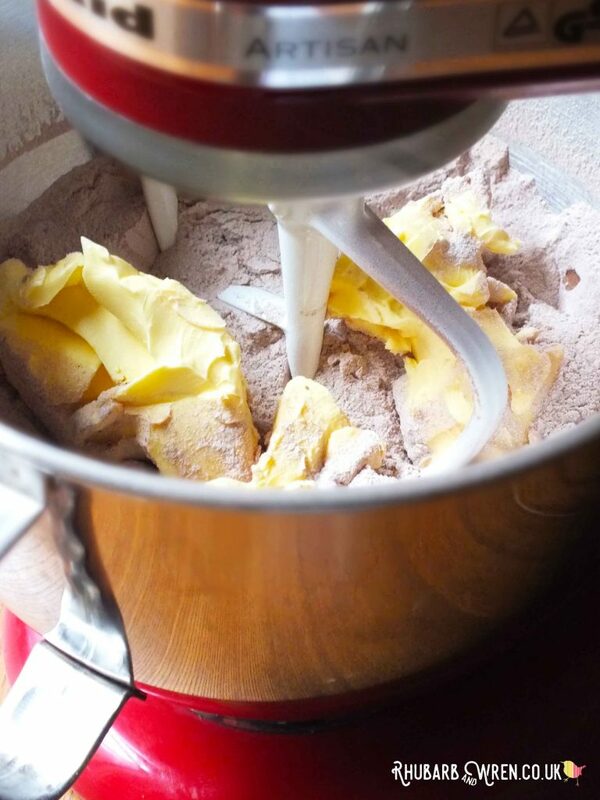 Add the margarine to the dry ingredients and mix in until you get a texture like biscuit crumbs. Make sure there are no big lumps! After mixing in the butter. 4. 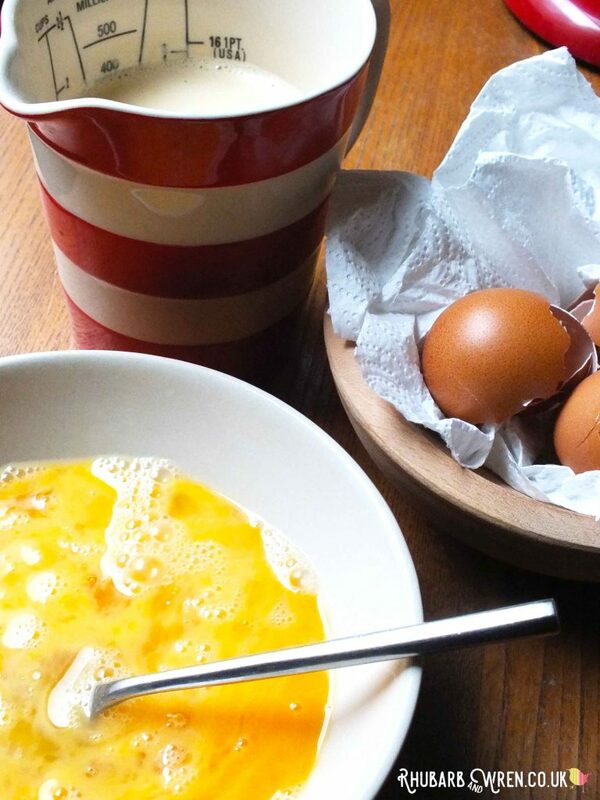 In a separate bowl, combine the ‘wet’ ingredients’ (egg, evaporated milk, vanilla essence and water), and beat together just enough to blend everything together. The final ingredients, ready to add to the mix! 5. 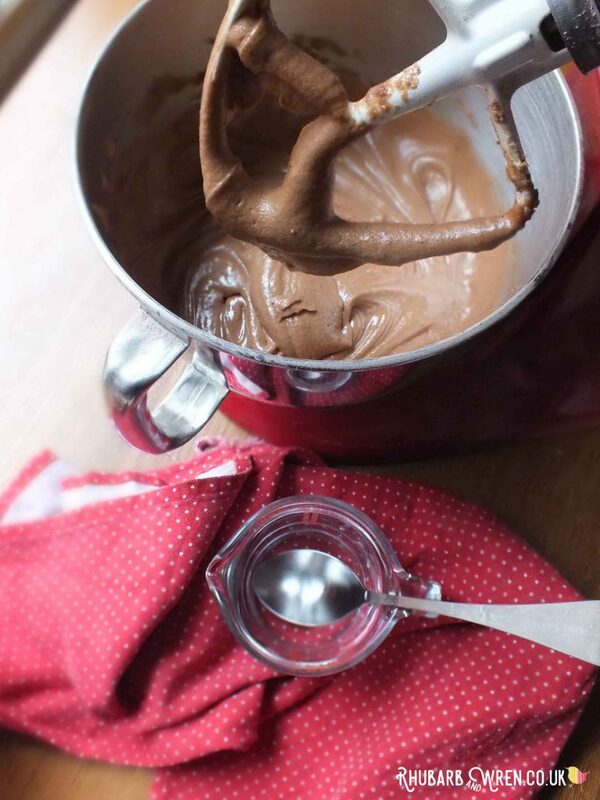 ​Add the wet mix to your main bowl, stirring in and then beating just enough to combine. 6. Split the mixture evenly between the two cake tins, and pop in the oven. 7. Bake for approx 25-30 minutes. You should be able to smell the cake when it’s near ready, and when you take it out it should be shrinking slightly away from the tin. 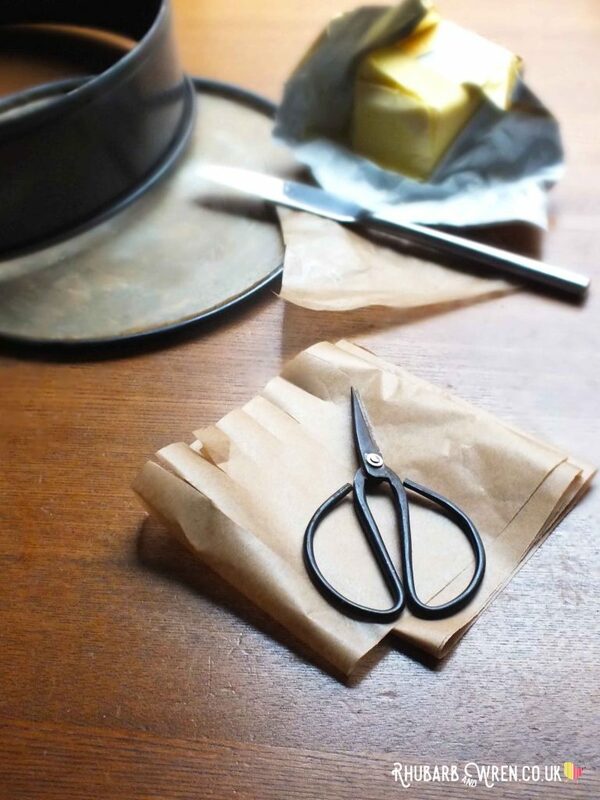 a skewer or knife should come out cleanly (with no sticky mix on it!). If you are baking this as one big cake, it will need approximately 40-45 minutes. 8. 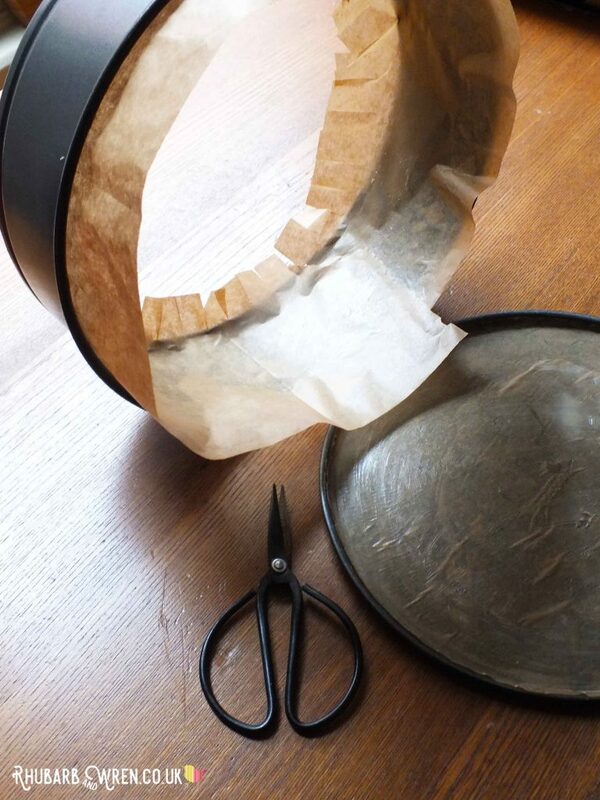 Leave in the tins for 5 – 10 minutes, then turn out to cool completely. All turned out and ready for icing. 1. Melt the butter (it doesn’t need to be completely liquid, just very soft). 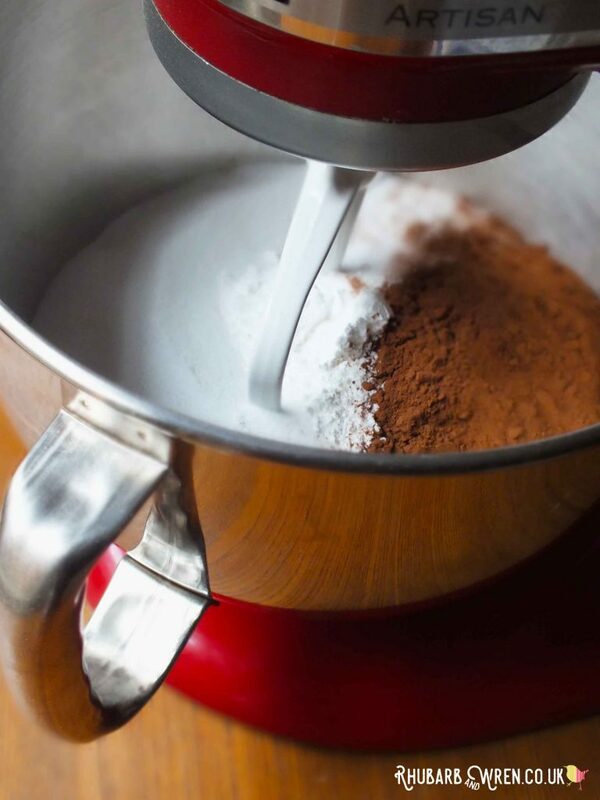 Blend in the sieved cocoa powder. 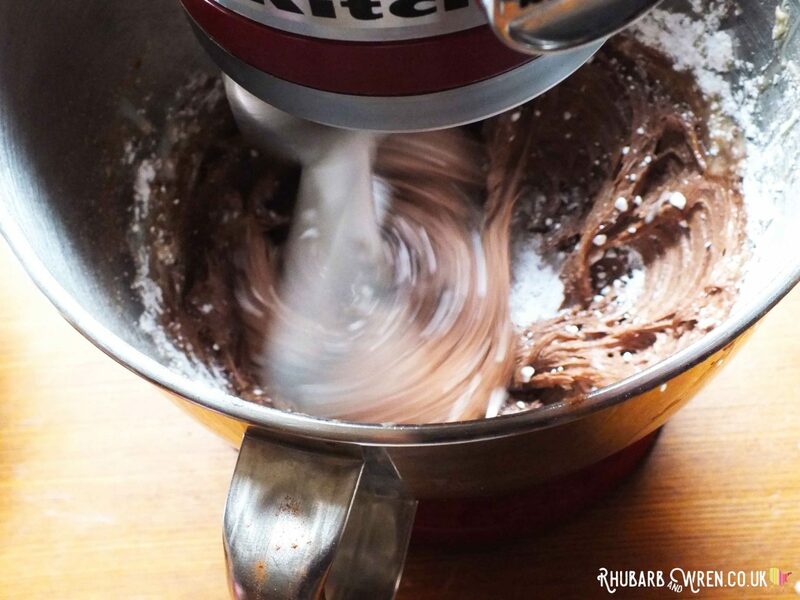 Doing this with warm butter ensures you don’t get grainy cocoa flecks in your finished icing. 2. Add the sieved icing sugar, stirring into the butter along with the evaporated milk and vanilla extract. 3. Once all combined, Beat well until smooth and thick. 1. 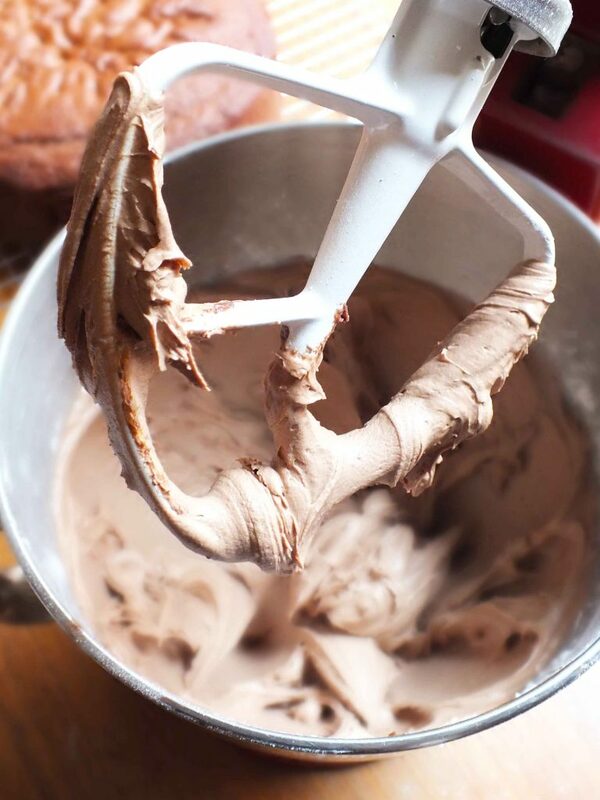 Spread your milk chocolate icing generously over the base of one of your cooled cakes if making a sandwich cake. 3. Finish with your choice of sprinkles. 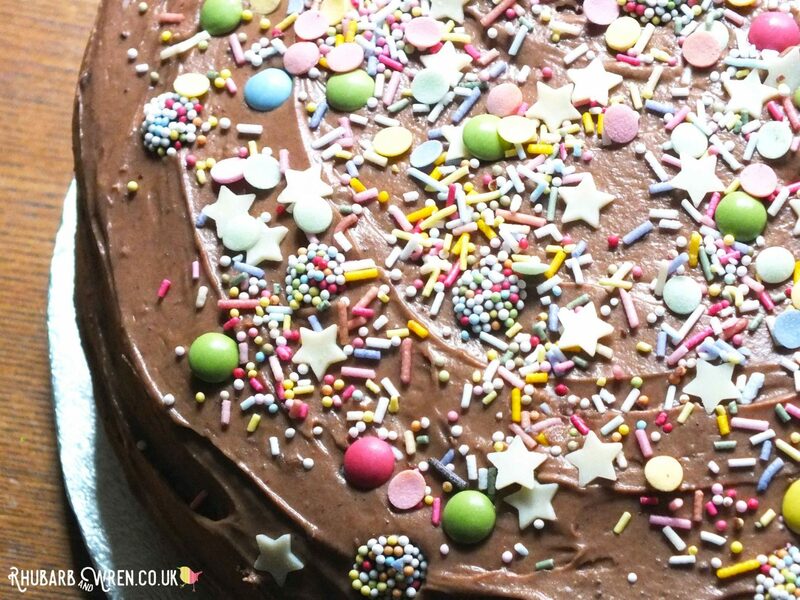 Our kids are partial to a bit of everything in the cupboard, for maximum party cake chic. My mum used to use chocolate buttons, or if you’re after a more sophisticated look, a bit of grated chocolate orange over the top is absolutely divine. Don’t forget the candles or mini sparklers for birthdays and special occasions! 4. Light those candles and take it through… Happy Birthday! Store this cake in a cool place (NOT the fridge – that will dry it out), in a sealed container or under a cake dome, and it will keep for around a week and still taste good. You are very unlikely to have any left after a week, though! 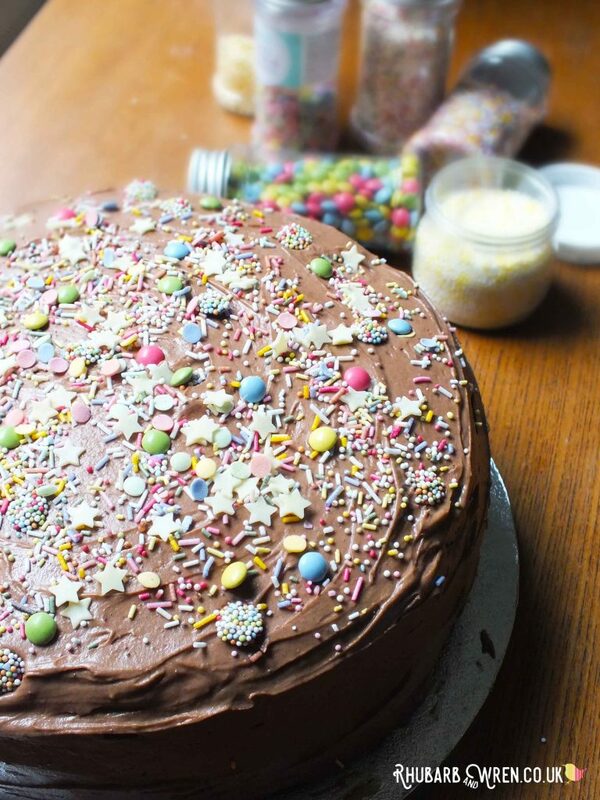 One delicious Milk Chocolate Cake; one million sprinkles! 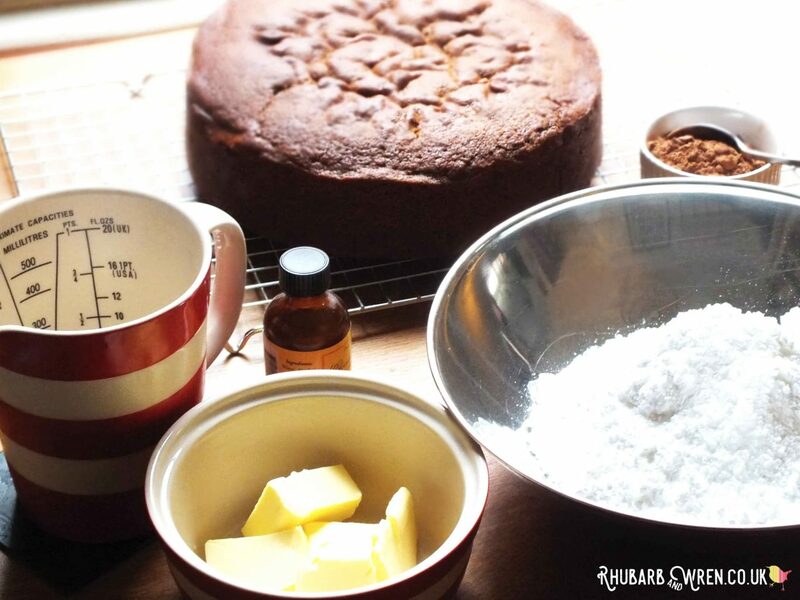 If you’ve enjoyed reading this, why not check out some of our other cake recipes? Birthday, Cake, Chocolate, Party Time. Bookmark. I am always looking for the best chocolate cake… Will need to try this one! Thanks Cath! That marg does give it a lovely texture. That’s a great idea, Jo – love a bit of chocolate orange; will have to try that variation! I often sprinkle grated chocolate orange on top – they go together beautifully. I hope we can keep the same tradition going as long in my family too – eighty five is quite a record! Best bday cake ever. My Mum always made this for us as kids and I am now typing with fingers made sticky from baking the 10th cake for my youngest who celebrates tomorrow!